Spanning an impressive 31,000 square feet, Villa La Estancia’s world-class Desert Spa basks under a bright blue sky flanked by the Sea of Cortez and picturesque mountains. 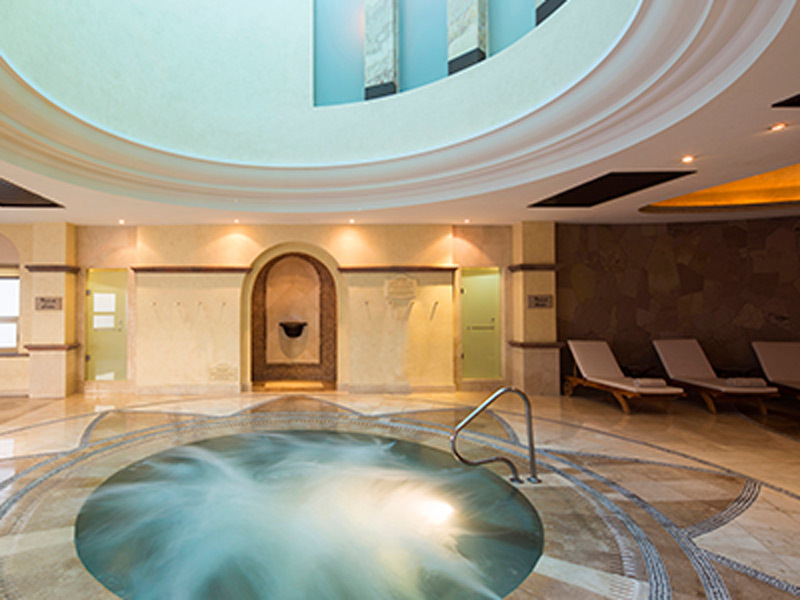 This remarkable setting creates the ideal environment for a memorable spa experience. Guests can enjoy massages, body wraps, facials, hydrotherapy, couples’ experiences and a full service beauty salon, as well as a la carte services and special spa packages. With the Desert Spa’s exclusive line of desert-inspired body products, guests will be wrapped, bathed and pampered with extracts of agave, lime, nopal, melon and vanilla. Using fruit and herb extracts native to the Baja California area, the spa’s body products have been specifically developed for the restorative and nutritive powers they possess – and for the enjoyment they provide spa guests. Situated on the tip of the Baja Peninsula, our Spa & Fitness Center offers a host of indulgences to refresh the mind, body and soul.